Your sleek and sporty MINI Cooper draws attention everywhere it goes. It handles the road well, and zips from place to place with speed and precision. 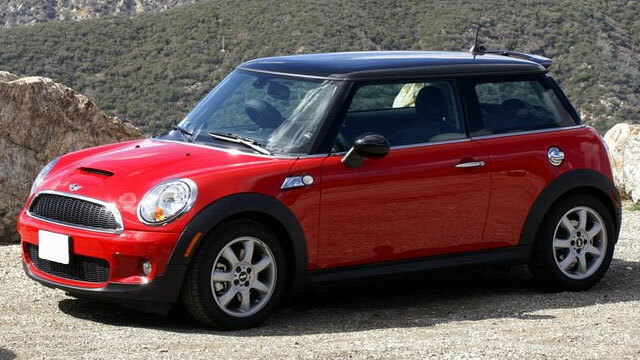 To keep your unique MINI Cooper running its best, it’s important to bring it to an auto repair shop that specializes in MINI repair services. That’s why San Francisco Automotive Solutions has specially trained, ASE Certified MINI Cooper technicians to handle all of your MINI auto repair and maintenance service needs! San Francisco Automotive Solutions is the premier MINI auto repair shop in San Francisco. Our technicians are experts in the inner workings all MINI vehicles, and have received special training to keep them updated on all MINI auto repair and factory scheduled maintenance services. Using top quality MINI parts and diagnostic equipment, we act as your MINI dealership alternative – with better prices and friendlier service! Plus, all of our MINI automotive services come with a 100% service guarantee! So if you’re looking for MINI Cooper repair services in San Francisco, you can be confident that All America Automotive is the right place!